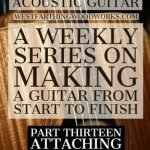 This week at Westfarthing Woodworks, the guitar making series rolls on with attaching the top. 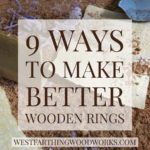 Then, I show some great tips for buying wood clamps on the cheap, and 10 fun projects you can build from wood. Enjoy. 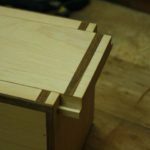 In How to Make an Acoustic Guitar – Part Thirteen, I’ll show you the process of attaching the top to the body. This closes the body, and now you will have something that resembles a guitar more so than a pile of parts. Attaching the top is a little more involved than attaching the back. It’s the same principles and processes though, just a bit more intense. It’s well within your reach however, and all you need to do is have patience. Getting a good seal on the guitar body is important, and I’ll show you several good tips and tricks along the way that will help you be successful. Woodworkers need clamps. It’s just a fact of life that over time you will end up needing so many clamps that eventually you will have a whole farm of them. In the beginning, clamps can get a little pricey though. 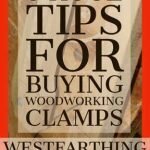 In 6 Huge Tips for Buying Woodworking Clamps, you will learn a lot about finding clamps for less than full price. 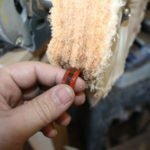 This post is designed to help you find easy ways to get clamps on the cheap, and save money for other parts of your shop. After all, if you add up the cost of all of a woodworker’s clamps, it can easily be more than a nice power tool. As a beginner, that can be a big burden. Instead, follow these tips and get your clamps for less. You can afford more of them when you get a deal, and you can afford more materials later on too. 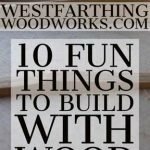 In 10 Fun Things to Build With Wood, I’ll show you several great projects that are fun for beginners, and just fun in general. 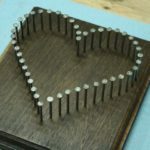 The fun side of woodworking is making things that have little utility value, and are just fun to have around. This is where you get to have fun as a woodworker, and still get to do some amazing projects for yourself and for others. These are things like wands, toys, and rings. 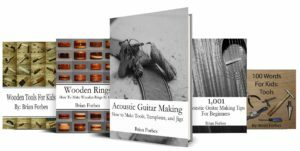 They are all fun, and they are all beginner level projects that you can accomplish. 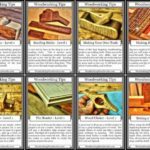 There are links to many of them as tutorials on my site too, which is helpful. If you have any questions about this week in review, please let me know y leaving a comment and I will be glad to answer them. Happy building.